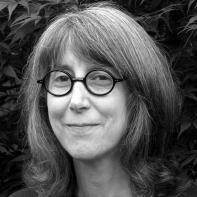 Laurie Blauner is the author of four novels and seven books of poetry. Her latest novel, called The Solace of Monsters, won the Leapfrog Fiction contest, was a finalist for the 2017 Washington State Book Award in Fiction, and was included in a list of best 2016 Indie books from Bookriot. Her essays have appeared in PANK, december, and Your Impossible Voice among other places. This essay is from a manuscript of essays titled I Was One of My Memories. I didn't know what to do with my new body, surrounded as I was by slapdash, sniffling shufflers. The speechless clamored to be heard, a corkscrew light nudged the walkers, the handkerchiefed discharged their enormous sneezes, a wheelchair ran in circles. One of my favorite nurses became unpinned, explosive with worry as a man with a drip grew insistent with the institutionalized glass, threatening to break through and rearrange a tree outside. There was a menacing click with his elbow, perhaps a slight shattering. A light breeze, that could have been mistaken for the real thing, skimmed my face. I wanted to tell her that no one could undo the sky, no matter how much they wanted to. I was cutting my mother's spiraling, thick, yellow toenails. White sheets tufted around us and two spotted fists rested on the heaving, blue blanket. Then movement, white movement, as Petra arrived, her softest parts first, the squishy shoes leading, then I noticed her ankles, knee caps, legs. She inhaled the room and then exhaled it and it resumed its shape. She wiped her lovely, wet brow, and I wanted to worship that hand, that face. In the sun's feverish touch I made out the tapering architecture of her thighs through her skirt, a parade of shadows as she came nearer. A scabrous nail slice flung itself at her knees, headed out the door. She ignored it with a face she had perfected among people and objects that were too active. "Nice, new hairdo," Petra said, her dark hair flaring. I primped. New dress, too." I didn't mention the loss of weight, the cosmetic changes, my department store make-over. I turned around for Petra. My mother's palms were listening, curling into themselves. Petra had taught me that some wounds didn't close, especially with the elderly. An infection could deepen and stain their bones, surfacing at the most inopportune time. What could you do when someone had swallowed most of your life? The sun settled its head at the window, a thread of saliva spidered my mother's lips. Petra with gloved fingers and all those possibilities. My mother's incidental bruises rose. My mother had been a poet, so her mouth liked to fill with words and amended biographies, called lies in some circles. "There was a man once in my daughter's life," my mother began. Petra nodded at me, the sun's acquaintance, the doer of good deeds. My own mouth slack with a voiceless prayer, my windlashed, redone face. I thought: they are already air here; we can see right through them. Air clutched at Petra's shoes and then released them as she stepped near. She shook her head. "The residents can't always remember." Her laundry-white shirt against the white wall, she touched my shoulder and I could feel heat there, in the shape of her palm. "Not even what they're saying." An unapologetic cane teetered at the doorway. The man was ramshackle, subdued, his bushy eyebrows lifted. "I heard what you said." "Incoming hobblet," I whispered to the intricacies of Petra's ear. "I heard that too, young lady." I was middle-aged then, a schoolteacher. Petra dropped her hand and raked in her laughter, reorganized her features until she looked serious. "Mr. Peterson, we're going to have a treasure hunt in the green room. Why don't you come there now with me? Maybe Carrie and her mother will meet us there," Petra stated. "Juice, juice, juice," cried the unfortunates, throwing their wrinkled hands up against the scarred green walls. A woman did the cha-cha in the hallway. Even the paraplegic banged on his shiny, polished wheelchair. The imbecile flapped his lips, his mouth searching for words. I saw my future, gnarly and forgetful. It was only a matter of time. I watched Petra attending to a woman, with thick glasses and white hair resembling shrapnel against her skull, who screamed that something had just popped inside her chest. A man hovered at her shoulder, shifting the weight of his legs. I wheeled my mother by, dispersing as much sunlight as possible. My mother with her laddered ribs, the red anchor of her failing heart, her head that listed to the side and then bounced back again, the diseased colors of her splotched shirt and livery skirt. She waved her spotted hand at everyone, unsure whether she actually knew them. "Forget the treasure hunt," Petra announced, turning to me, her sweet breath, a new world. Something white floured the woman's lips who clutched at her chest. The woman leaped up from Petra's coercive palms and yelled that she needed the faith healer, the one that worked with snakes, the one out by where the trees did the hula, far along Division Road where the grass was rarely mowed. She said that it was her dying wish to be healed again. "What can I do?" Petra asked. The driver loaded up the special van with all the flippery, useless limbs, disengaged mouths, the instruments that would slowly replace us. My mother, who didn't believe in anything but herself, still wanted to see what would happen. And me, I'd never miss a good show. The inside of the van smelled of mothballs, camphor, and stale bread soaked in urine. Dead insects lay curled in the corners. Then the gossiping began. My face bumped close to Mr. Lonard's forehead, which was raw from hitting his headboard. "Nurse Amy gave Thelma the wrong medicine," he exclaimed, his breath in puffs. "She nearly killed her." "She's sitting in the back seat," Petra exclaimed, rolling her long-lashed eyes at the windshield. Music issued forth from the large stage. White and gold parachutes lined the sides, centered was a table and an enormous cross. The makeshift tent imagined itself elsewhere, trying to join the wind that pulled it this way and that. Petra sang Patsy Cline's "Crazy" as she ladled everyone into seats. I looked through my mother as though she had already disappeared. The imbecile began dancing too soon, and claimed, "Somebody stole my thoughts." I couldn't decide if I would miss my thoughts or not. But Petra, with her scalloped, red fingernails, that was another story, one my mother wouldn't tell. There was much healing to be done with our little, huddled group. But Petra was the only one with skills and the know-how. Inside, overhead lights shimmered and began to go helter-skelter and Mother/Sister Barbara came forward with her arms raised, in a billowing white shirt like pale, pleated wings. I pulled at my new blonde hair, asked my body what I could do. I already knew the answer, which did have something to do with Petra and a kind of faith. "Let's go have an ice cream," I whispered to my mother as Barbara's hands shimmied and her silhouette basked in too much religion. Barbara sang and swayed and everyone swayed with her, the flimsy, soon-to-be-gone, arches-uplifted-in-song, lightstrung, previously-anointed, mistaken-for-asleep, manic, just-out-for-the afternoon, all loosened and flared. Mother/Sister Barbara effervesced, became iridescent, until I believed she might flutter away. Prayers began and then diminished. The soft lines of Petra's face remained unharmed, unmoved. Some wreckages shuffled forward, waiting. The jeweled arms of Barbara stopped describing heaven and hell and, with one Hallelujah, called up the Holy Spirit. After that, you could never know what would happen. Barbara was a large woman with brash, grey hair, clairvoyantly twisted into complicated knots at the top of her head. She was loud but I could still hear my mother's bones cracking. I could taste grass between my teeth. The supplicants clapped, spread their arms, cried out, and spoke to Barbara as though she could hear each one of them. Barbara could have been a member of our group, the half-lies, a power that surged through her, rumors, regret, and an attempt to stave off death, in any way possible. A young mother from the audience ran to the stage carrying her child and pleaded with Barbara. Petra bit the tip of her red fingernail, red flakes fell onto her chin that needed to be brushed off. "Let's go for a nice stroll outside," I whispered to my mother, who ignored me. Barbara pressed her hand onto the child's shoulder as though positioning the small body. The little one whimpered, fell against the hem of Barbara's thick, pale gown. Light leaked onto light. The child scampered off the stage, her grateful mother followed. The limping, the broken, the coughing, the ready-to-bleed began to line up. Barbara surveyed the injured with their shadows and knobby parts. After she healed several people, one woman from our group scurried up. I could hear a shabby wind dart and shriek around the tent. The usual flying birds entered and were caught inside. "How about a movie?" I asked my mother, wanting to ask Petra. My mother shook her head, concentrated on the stage. “I want some...” but she didn't finish the sentence. Barbara touched the woman's neck and the woman clutched her throat and fell onto the floor, her shrapnel hair discharging, her glasses scattered, upended at the edge. We waited, only this time she didn't rise up, no matter how much she was admonished. Petra's alarmed eyebrows moved forward in her seat but the others from our group held her back, murmured that everything would be fine, that she'd see her later, backstage. My mother held her stony breath. We couldn't escape any longer. Mother/Sister Barbara's hands flew toward the sky, she instructed us, "Close your eyes and pray and everything will be taken care of." I peeked. Petra's uniform glowed a heavenly white through my eyelids; my mother's chin had collapsed onto her chest. Two men came and carried the woman from our group off the stage, her wrists hung, swinging from her arms. My mother's head lolled, her hair darted off in surprise and her body curled into a comma. Death lingered, in the foreboding woods outside, like a stalker or someone who had come to see Barbara but was too shy to enter. "Open your eyes now, my Lambs," she directed under the sizzling lights. "Now where are my believers?" Petra didn't notice another death with all the razzle-dazzle. She placed a hand on my mother's rumpled sleeve, her unpinned shirt loosening. The imbecile winked at us. A man tottered near the chairs. An older woman in a lopsided dress stuttered by, singing "the spirit's got hold of me." The latest up and coming applicants. I wondered what had happened to the sparrows. As I was tying my mother's shoe laces Petra said, "I know your mother would like some miracles, right Mrs. Sanders?" It was, thankfully, a question that didn't need answering. The recrimination of strawberries my mother had never eaten was smeared on her shirt. Her mouth fell open. Petra was humming to herself. Petra slid behind the wheelchair and pushed what was left of my mother toward the stage. A few months later I became a visiting poet in the house of the struggling. Petra was in attendance with her quiet shoes, her soft hands, the poke of an occasional, red fingernail. Certain residents brought me cookies and tea. I missed my mother, but I now had so many others to choose from. I whispered beautiful words to those gathered around me. "I can't hear her," one woman yelled. "Can you speak louder?" Days wandered by there, sometimes in an unbuttoned blouse or without pants. I spoke of Frost, Auden, Lowell, reciting Stevens or Elliott or Williams, warnings about their lives. Then someone eventful walked down the hall, barefoot, having waylaid her shoes, having forgotten to brush her hair. New people arrived daily. There was penitence to be done. Hearts had escaped and given up. There would be no more outings, no matter who or however many times they asked. The imbecile kissed me, said, "There's my favorite girl." "Your mother was an accident," they all explained. But I knew what I was doing. I had my own version of what Barbara's touch meant. When the wrongful death lawsuits started, Barbara disappeared. Water was spilled from a fuss of blossoms onto my feet in the blue room. I didn't care. My new body had already grown old. I didn't worry so much anymore. My legs grew achy, my flesh reared up, parts softened or hardened, succumbed. I waited for Petra in empty storage closets where we snuggled. The door hinges spoke too loudly. She was inside of me all the time anyway. I no longer needed only my own body. "Soon, you eyesore," a woman with bright silver hair said to me as she was being wheeled by. Soon I would be one of them, one of the group. At night I wanted to touch Petra's eyelids randomly and foolishly, the ribbon of her hair to remind me of all I had now. "What should we do today for fun?" Petra inquired. “Borrow some new bodies,” I answered her. I knew all of myself was invested this world, with Petra, with little left over for the next one.